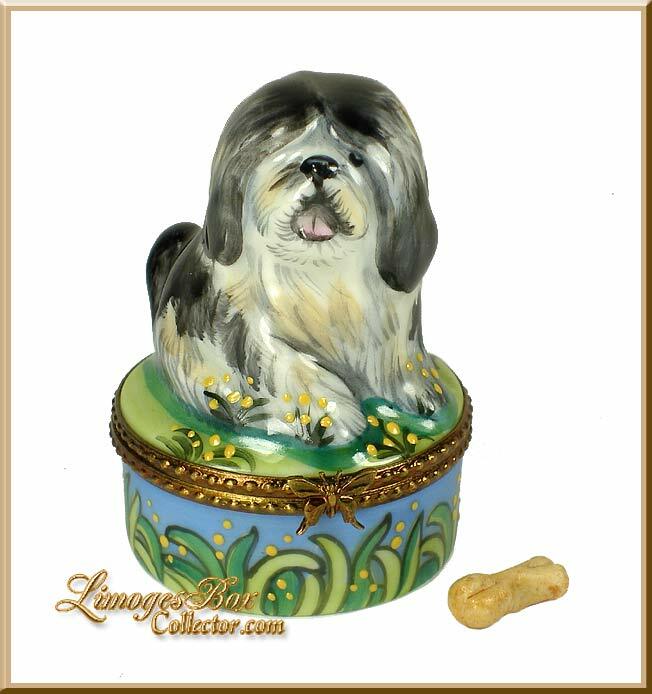 A great variety of exquisite Dog and Cat porcelain Luxury Gifts are featured at http://www.LimogesBoxCollector.com. The Collection of Pets and Animal Limoges boxes boast of fantastic French artistry in miniature form – a delight for gift buyers and pet owners alike. 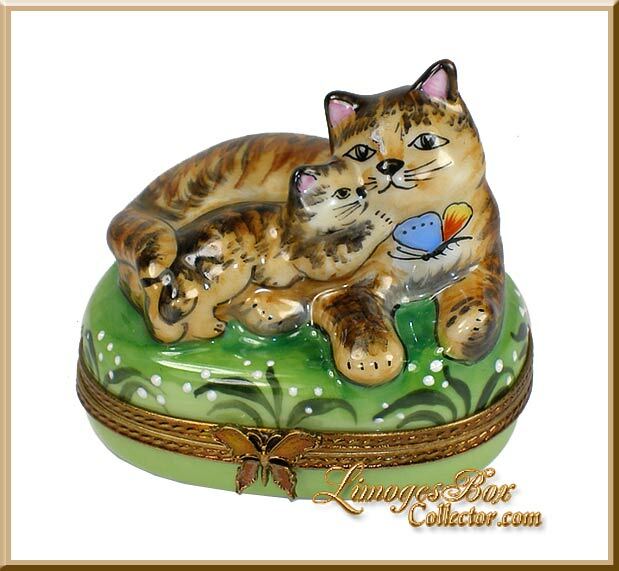 Our line of Luxury Animal Limoges boxes will delight Animal-Lovers and Pet Owners alike. They are highly collectible and make great gifts! 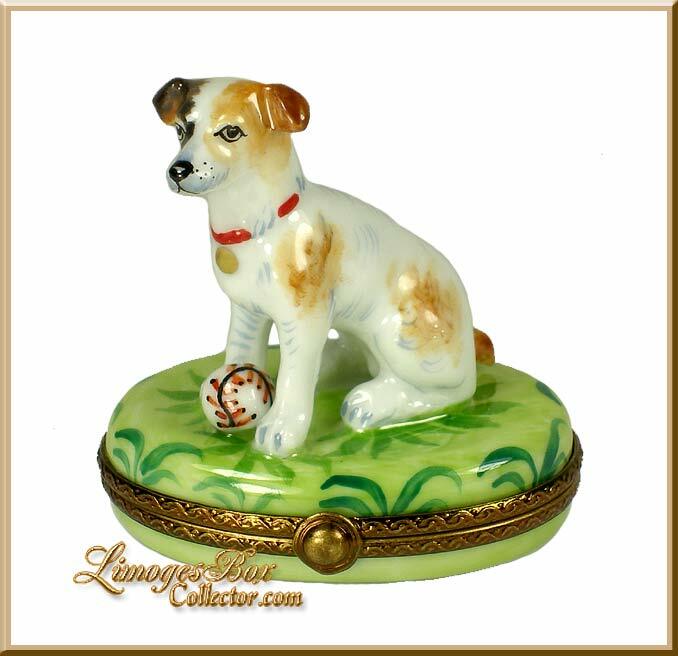 LimogesBoxCollector.com is proud to offer a fantastic selection of Dog and Cat French porcelain Limoges boxes to delight pet owners and gift buyers. The Collection features hand-made and hand-painted dog and cat hinged French porcelain boxes with magnificent detailing to delight any animal lover. Those who enjoy unique gifts will find Limoges boxes an ideal present that will be cherished and collected by the recipient. Animal Limoges boxes are made in a variety of whimsical as well as realistic shapes to appeal to every taste. Any pet owner would appreciate a luxury gift that represents their furry friends. French Limoges boxes are wonderful keepsakes and are loved and collected worldwide. The history of Limoges boxes goes back to the time of Louis XVI, when Limoges boxes were used as snuff boxes. As the popularity of Limoges boxes grew, the style of these ornate hand-painted porcelain boxes evolved. French artisans began to create various shapes in numerous themes, including a variety of animal shapes. Today, Limoges artisans create fantastic animal Limoges boxes, including shapes that represent various dog breeds such as Scotties, Labradors, Westie, Beagle Terrier, Cocker Spaniel, Boxer, Boston Terrier, etc. 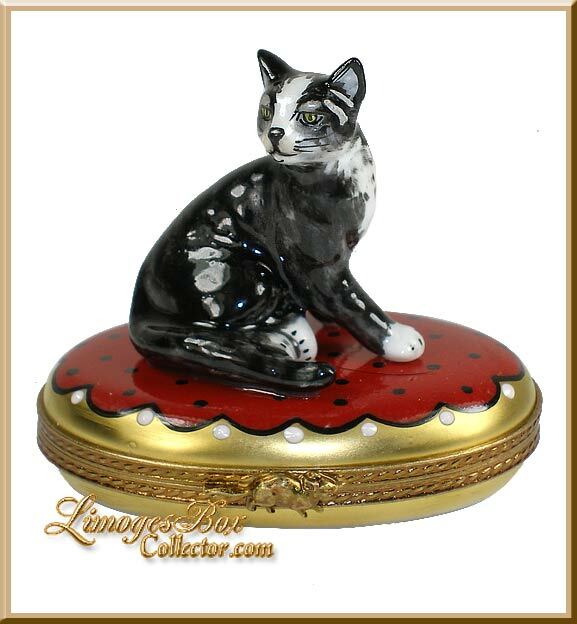 Cat lovers can also find a variety of Cat and Kitten Limoges boxes in a variety of colors and styles. LimogesBoxCollector.com offers an extensive selection of every style of Limoges boxes. LimogesBoxCollector.com is also proud to be the exclusive authorized dealer and distributor of Beauchamp Limoges boxes, a magnificent line of luxury, hand-painted French Limoges boxes of the highest caliber. The Beauchamp Limoges Collection offers superior artistry and exquisite styles of hand-painted French porcelain boxes including a large selection of animal and pet Limoges boxes. Each Limoges box is made entirely by hand, from pouring the porcelain paste into the mold, firing, hand-painting and metal hinges. Each and every Limoges box is crafted by Beauchamp’s select master artists in Limoges, France. Every Limoges box bears the insignia of the artists as well as the designation “Peint Main” signifying that the Limoges box is painted by hand and “Limoges, France” as a guarantee of the Limoges being manufactured in the Limoges region of France. LimogesBoxCollector.com offers a very large selection of Limoges boxes in every category and theme for every taste and budget. Special occasions such as birth of a baby, birthday, anniversary, wedding, holidays, graduation, vacation, etc. as well as any special interest such as music, art, gardening, sewing and so much more can be memorialized by a Limoges box. 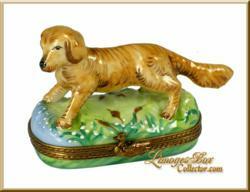 Animal lovers can find a fantastic selection of the Dog and Cat Limoges boxes as well as a variety of other animals. For those who want to collect extra special pieces, the fantastic selection of Limoges boxes offered by LimogesBoxCollector.com includes a great collection of Retired, Hard-to-Find and Rare Limoges boxes that are no longer produced and thus are very valuable and greatly sought-after. Especially of interest to avid Disney collectors is LimogesBoxCollector.com’s large selection of Rare and Retired Walt Disney Limoges boxes by Artoria Limoges. LimogesBoxCollector.com is the only website offering these highly-sought-after pieces which include Mickey Mouse, Minnie Mouse, Donald Duck and other beloved Disney characters. LimogesBoxCollector.com continually adds new and original designs of Limoges boxes as well as retired and hard-to-find pieces in various themes. With every visit, customers always find a variety of new-arrivals to choose from and to enhance their collection.